Can we stop with the hand wringing about past failures? Can we instead discuss the future? 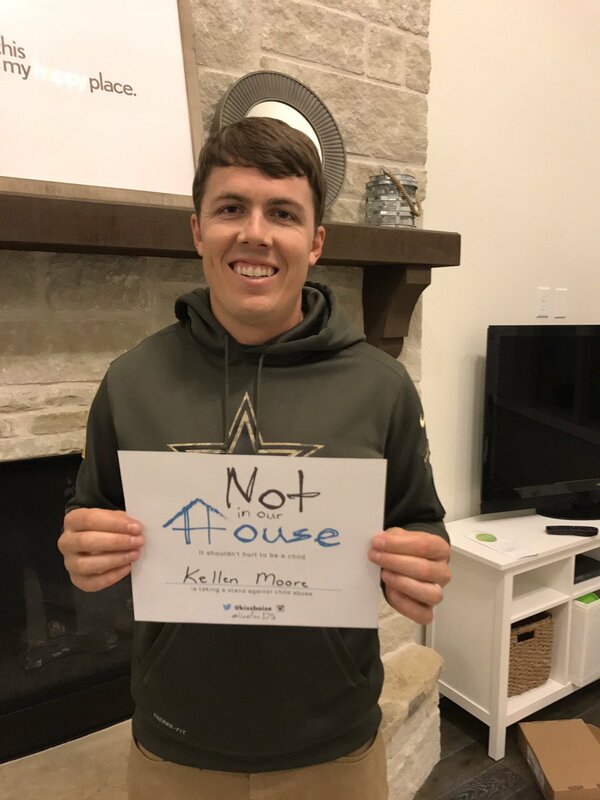 Is anyone intrigued by Kellen Moore as OC? How do you think he’ll change things? Should we be excited, or are we doomed? Tip ‘o the cap to Stasheroo, who inspired this thread! Idgit, daboyzruleperiod, 817Gill and 15 others like this. Sounds good, lets get rid of the Romo pom poms as well since he’s currently irrelevant to this team. Prossman, Sevenup3000, JoeKing and 4 others like this. 817Gill, Gangsta Spanksta, JohnBoy and 1 other person like this. Rainy, irving, Verdict and 7 others like this. I'm entirely capable of discussing both, and allowing others to talk about whatever interests them. Nobody has the job of being a Content Censor here, and nobody should. I'm cautiously optimistic about what Kellen Moore might bring, and I'm definitely happy that it's another voice other than Scott Linehan, who I felt was stale and stubborn and called the game he wanted, rather than playing to the team's strengths. I liked what I heard from Frederick talking about Moore's creativity and play designs. It sounds like he's been drawling them up for years. And if he can bring that creativity to this team? I'm all for it! What I would like to see is more personal motion and giving defense's more to think about. I think the old offense was too predictable and gave defense's too much of an advantage whatever gets us away from "we do what we do" would be great in my opinion. Buzzbait, Jarv, dallasdave and 13 others like this. any future that includes Garrett and Jerry IS tarnished and sullied. Does that mean we cant win and do some damage? NO...but its unlikely. Garrett represents stagnation. I don't know why we expect that to be any better this year. catiii, cowboyblue22 and Captain43Crash like this. people enjoy the cult. just accept it. a new year, lets see what they do. a few set backs, but who cares. hard to get excited, but its what we do. Doomed is too harsh a word. Doomed is when you have a family and you cant meet your house payment or keep your lights on. So lets walk that back. Th team just has a huge monkey on its back and its name is Jason Garrett/Jerry Jones. Its a 2 headed monster of sorts. Doesn't mean we are doomed, it just means we have a tougher road in front of us.Not only do we need to worry about battling our weekly opponent,but we are battling ourselves. Makes it hard to take the next step forward when you have those long odds. On the other hand, the future is bright because we have a very talented young team. Coaching and ownership is the bugaboo. johnnygt, Hawkeye19, JohnBoy and 4 others like this. H-m-m, Is it remotely possible the FO chose to give Kellen a shot at proving himself as a "tip of the hat" to Dak? Needless to say, it could possibly prove to be a fairly expensive gratification in the event it somehow fails to work. dallasdave and Pantone282C like this. That would be easier if the people who gave us the past failures weren't still running the show. Why should I be confident that THIS TIME they got it right? I'm taking a wait & see approach going forward. I'll get excited when I see a reason but I can no longer do so based on speculation. ohiocowboysfan25, Hennessy_King and Captain43Crash like this. Yes, with Garrett as the HC, Moore makes sense as the OC. It would be difficult to hire a proven top offensive mind without making that person the HC. With Garrett as HC it's basically a choice between a retread type OC like Linehan or a young unproven but highly respected guy like Moore. The key IMO is to have excellent assistant coaches on offense. A huge part of McVay's success with the Rams offense is due to excellent execution of plays. I think the Cowboys now have some players that allow for more complicated play designs. They just couldn't do anything complicated in the years that Dez was the #1 WR. People should watch Moore's college game footage or watch the video of him with Jon Gruden. In college he did much of what the Rams did this season. They did basically anything to confuse defenses and get a small advantage including pre-snap movement and odd alignments. Jarv, Rogerthat12, JohnBoy and 2 others like this. DallasEast, Old'Boyfan, DeathMonkey and 1 other person like this. Those that forget the past are doomed to repeat it. wecasa, DallasEast, ShortRound131 and 3 others like this. As long as Garrett is here you won’t see a lot of optimism. A decade of his mediocrity with no playoff success will do that to you. I like the roster but I’ve liked several of his rosters. That’s where my hope comes from. The players. Agreed! But let it be said, when someone brings him up in an erroneously negative way, countering with positive facts does NOT equate Pom Poms. I can’t speak for others, but I will ALWAYS refer to him in a favorable way, just like I do most former Cowboys! Rainy, Jarv, Techsass and 3 others like this. That past includes Lombardi’s. Guarantees come with blenders and toasters. CowboysWillRise and Runwildboys like this. We’ll move forward when Jerry steps down as GM. Until then it’s the SOS! Kellen shall remove our shackles, deliver us from evil, and take us back the promised land!! dallasdave, ColoCowboy, BooBooBear and 2 others like this. We still have Jason and Jerry. Not much is going to change. You can wrap up a turd in all sorts of wrapping paper but at the end of the day, it's still a turd. We have a long standing pattern of failure with Jerry over the last 20 years. This season is about as good as it is ever going to get with him until he changes his philosophy. Which he won't. Captain43Crash and morat1959 like this. I would like to see a different HC, but I liken the Cowboys to my fave college team, Penn State. James Franklin reminds me of Garrett in a way—nice guy, good motivator and recruiter, but not the strongest “X’s & O’s” kind of Coach. Doesn’t make good adjustments, and needs an innovative OC to get us over the hump. MAYBE, Kellen Moore could become our version of Joe Moorehead. It takes all the preseason, and two or three games of the regular season, until Moore’s offense finds its groove, then BAM...prosperity. If we stay healthy and make the playoffs, defensive coordinators on the good teams will have had enough tape to counter. IMHO, that’s when we’ll REALLY see!